﻿ Scotts Super Adventures - Ohio. Find It Here. Tour historic Marietta in 21st century style! Our tours feature the Segway X2 that will take you through Ohio's first city in modern convenience. 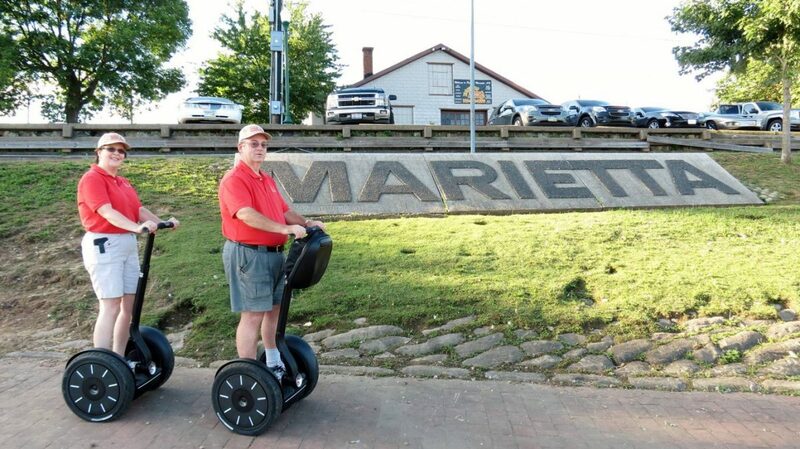 Visitors get the chance to see Marietta from the comfort of the Segways, which are much easier to navigate than you'd think! Riders should dress in weather appropriate clothing and wear comfortable shoes. Every tour includes instruction before departure. We'd love to have you join us on our next tour!